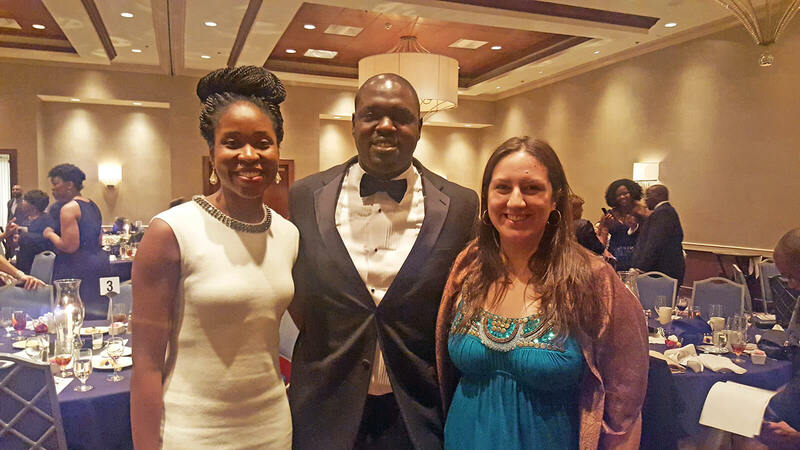 Board Chair CJ Broderick (center) poses with Fuqua on Board Associates Savannah Onwochei and Alejandra Rossi. 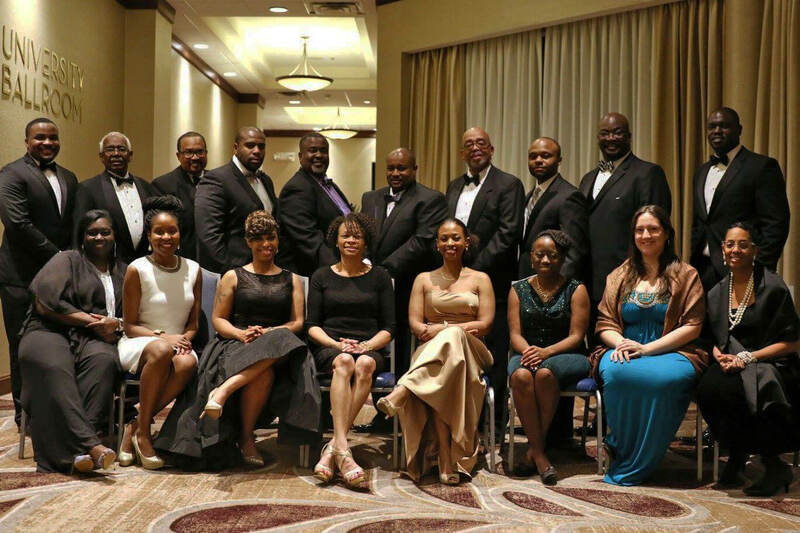 One of the highlights of my MBA experience at Fuqua has been becoming a board member for the Greater Durham Black Chamber of Commerce (GDBCC) thanks to the Fuqua on Board (FOB) program. This initiative places Fuqua MBA students on the board of a local nonprofit for a year, allowing them to provide support to community organizations while also preparing these future business leaders to be active and valuable members of the community. I chose Duke because of Durham and not the other way around, as it usually happens. It was love at first sight. When I had the opportunity to visit the city a couple of years ago, I got to know a vibrant community, a city that had been rebuilt and reborn and had transitioned from an industry dominated by tobacco to a cutting-edge, world-renowned biotechnology and medical hub. Over the years, this process transformed Durham from a struggling town to an energetic city that attracts entrepreneurs, talent, and businesses. Today, you know that when you are in Durham, you are somewhere special. If you talk to local organization or community members now, they would tell you about the success of the transformation, but there is now a new challenge: not to leave anyone behind. The new businesses and ventures require highly-trained workers, and parts of Durham’s workforce are not prepared to take those kind of jobs. Durham is collectively working on creating an inclusive community, where everyone has a place. The GDBCC plays a great role in that community-building, fostering small businesses owned by black people in the area. The role this Chamber plays is not minor. Durham, which used to be known by the nickname “Black Wall Street,” carries a strong tradition of businesses owned by members of the African American community. Parrish Street saw the emergence of businesses like North Carolina Mutual, the nation’s largest black-owned insurance company. The GDBCC works to keep this tradition alive by honoring members of the black economic community. During last year’s annual gala, one of the honorees was Peggy Johnson Tapp, the owner of the second oldest continually operating restaurant in Durham—The Chicken Hut. She has been a living witness to both the demolition and renewal the city has experienced. 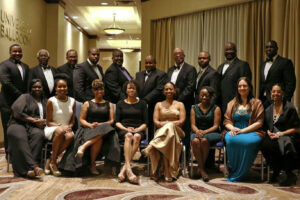 The Board Members of the Greater Durham Black Chamber of Commerce pose at their Annual Gala. The annual gala allows the GDBCC to provide opportunities for its members to network, while keeping the rich history of the city alive. It also organizes training, workshops, and forums, which benefit both its members and the Durham community as a whole. I feel honored to have served on this organization, having been able to see the engagement of all the board members not only on the Chamber activities, but on helping to create a better Durham as well. The chairman, for instance, volunteers as a mentor for Duke undergraduate students and he has chosen to perform as a DJ in one of the campus restaurants in order to be close to them. As the only white member of the local Black Chamber of Commerce, I have certainly learned a lot. 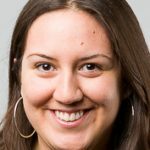 I have been able to understand a new perspective, to discuss racial issues that were completely alien to me coming from a small South American country, to become an advocate and an ally for fantastic people that we sometimes separate just because of the color of the skin, and to keep alive the part of history that sometimes goes untold except by its own protagonists. I am grateful to have lived the collective diversity Fuqua holds as one of its core values, right in the heart of the city that brought me to this amazing school in the first place. FOB is an extracurricular program of the Center for the Advancement of Social Entrepreneurship (CASE), and is administrated by the Office of Student Life for the Daytime MBA program. It’s a volunteer board service program that matches pairs of MBA students with Durham-area nonprofits to serve as non-voting board members. Over the course of a year-long apprenticeship, FOB “Associates” work closely with a board mentor, participate regularly in board or committee meetings, and complete a project designed to map directly to improving board governance and function. Since the program’s inception in 2002, FOB has matched more than 600 Fuqua students with 103 different nonprofits.